WARRANTY!!! 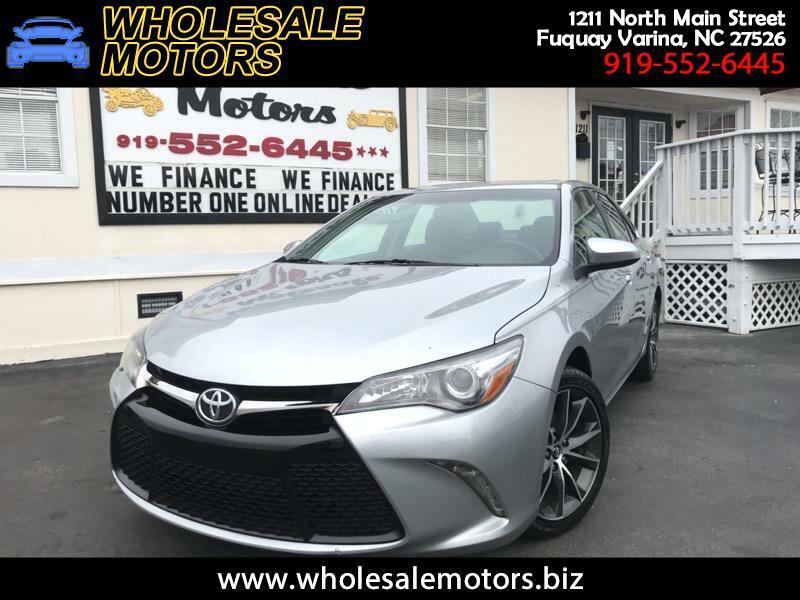 CLEAN CARFAX/ 2015 TOYOTA CAMRY XLE/ 2.5 LITER 4 CYLINDER ENGINE/ AUTOMATIC TRANSMISSION/ FULLY SERVICED/ 120 POINT INSPECTION/ AM/FM RADIO/ SUNROOF/ BACK UP CAMERA/ HEATED SEATS/ CRUISE CONTROL/ POWER WINDOWS/ POWER LOCKS/ STEERING WHEEL CONTROLS/ BLUETOOTH/ WE FINANCE!!! !